More information: APOGEE is the well-established side Project by Versus X singer, guitarist and composer Arne Schäfer. 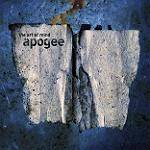 The Art of Mind is Arne’s eighth APOGEE album. On this album he composed all of the songs, sings and plays most of all instruments, including electric and acoustic guitars, keyboards and bass. Drums are played by Eberhard Graef. Together they revive the typical characteristics and qualities of the classical progressive rock, which have been defined in the golden age of Prog by bands like Jethro Tull, Yes, Genesis and Gentle Giant, which are Arne’s main influences, but also complimented with hints of Rush, Zappa, UK and others, forming a highly original and recognizable musical style.